But something strange seems to happen when religious demands that are not overtly violent surface. For example, when far right Christians demand control over the right for women to make their own choices with respect to abortion, or Muslims in Switzerland demand the right to build a minarets [BBC, 28 May 2007]. The first is justified by appeal to the 10 commandments, with abortion being classified as an act of murder; the second by the ‘necessity’ of minarets to the proper observance of Islam. The religious argument in such cases nearly always treats matters of faith as completely disconnected from the world of human affairs – the argument is in terms of isolated absolutes, rather than connected realities. This can’t possibly be right: pregnancy and abortion are matters of health and human emotion in the real world. Minarets are a style of architecture that is clearly out of place in the typical Swiss townscape (and note: city and town councils in most of Europe already have numerous rules about building style, effectively preventing houses painted red, made of glass or other eyesores). The question of abortion and religion remains unsolved particularly in the US where it routinely leads to violence on the streets and evasion and uneasiness by humanist-leaning politicians caught out by the press at election campaign time. For now the minarets are banned by popular vote, but it seems clear that with 350,000 Muslims in Switzerland, the question has not gone away. The question of the Burka is the same: its supporters argue from a purely faith-based point of view, disconnected with reality of western society. What is the reality here? For one thing, anonymity isn’t compatible with normal human social relations. The ability of two people to converse, whether in a courtroom, a bar or a romantic tryst, relies on being able to see each other’s face (and consider the ways in which both the sighted and blind compensate for lack of such visibility). In the west, intentional anonymity is usually associated with criminal activity – that’s why bank robbers wear masks and why banks these days have a sign on the outer door demanding the removal of motor-cycle helmets before entry. Logically they should demand the removal of Burkas too. But they can’t, because it infringes on ‘human rights’. Western society sees facial anonymity as so inimical to normal social affairs that it has a special titillation that flouts the rule: the masked ball. How did we lose our ability to reason clearly about these things? How did we get to a place where governments and legal bodies spout politically correct nonsense that asks all other cultural values, whether it be the beauty of Swiss villages or the occidental assumption of personal identifiability, be trampled by absolutist values (claiming to be) from faith systems? If minarets are allowed in Switzerland, will loudspeakers and Qawwali singers be next? Don’t get me wrong – this is a beautiful musical tradition of Pakistan, Egypt and elsewhere – but it is part of those cultures, not western culture. An amplified 5-times-a-day call to prayer is not part of western culture. What of the tranquillity and peace valued by the Swiss or other western communities? Do they count for nothing? Getting back to the veil, how should we deal with girls wearing Burkas in a classroom? Neither the teacher nor schoolmates can have normal communication. This can only be disruptive to the normal social affairs of the school. Without resorting to arguments about the oppression of Islamic women by the Burka, we should at least spare a thought for the value systems embedded in western culture as well. Some are worth defending in my view. But this argument is universal: I don’t expect to be able to go to Saudi Arabia and walk around in short pants and no shirt (I can’t even get close to that in St Peter’s basilica in Rome). I certainly would not try to invoke some Christian religious right to dress in ways offensive to the local populace of such countries. So in fact, we should remember that all cultural systems have some right to be respected (while of course continuing to make progress and removing less desirable features). The real truth is that religious practice is intimately and inextricably bound in with what we call culture, and arguments for certain religious practices to be given priority over everything else, as if it just didn’t exist, don’t hold water – in the Islamic, western or any other world. We must have freedom to think what we like in our heads; as soon as it translates to demands on the real environment outside our bodies, including on other people, then we need a system of rights and privileges that balances all such demands, regardless of the underlying belief system. The irony I suspect is that some of the best models for co-existence come from bazaars and marketplaces of the ancient world. This entry was posted in Culture, Philosophy, Politics and tagged belgium, burka, france, religious rights, women by wolandscat. Bookmark the permalink. Tom you have to watch this – I love this comment from the Young Turks – I couldn’t have said it better. He’s not that clear on what’s going on in French schools but I like his point. I think there are only 2000 burka wearing women (or men who knows) in France. I think that Sarkozy has guts for trying, but it is a violation of the Declaration of Human Rights – which state we have to respect the absurdity of another’s religion. I think it’s missing the point to say it’s a violation of the Declaration of Human Rights. If it indeed is a contravention of the Declaration to ban burqas then it needs to be changed or updated to declare a human right to communicate face-to-face and see the face of others in public everyday settings. And if that creates a contradiction then what benefits society as a whole should override the desire of the individual. This is a pretty normal approach. This isn’t about banning the burqa but banning clothing that hides so much of the face that normal communication is impossible. So it’s not really an issue of religious freedom anyway. Well said! I agree entirely. I think this is hard to dismantle and personally I wouldn’t even try. I think the desire to ban the burka comes more from fear of the rise of etremism than a desire to communicate ace to face. If that indeed was the genuine concern, then you would have to ban people who wear sun glasses, baseball caps and beards in public as well. A muslim cleric said in relation to this is that the more you attack this religion (meaning Islam) the more it will react. Perhaps just let sleeping dogs lie. It undoubtedly is hard to dismantle, but not because it makes sense. The problem with ‘rights’ documents like this is that they are written with good intent and accepted by a political process that reflects our common sense understanding of the words. But when they actually come into play, you are dealing with legal interpretation of the words. Then the words ‘…this right includes freedom … to manifest …’, which can easily be used to defend all kinds of things perpetrated on the community by ‘true believers’ exercising their ‘rites of observance’. Article 18 doesn’t compare with Article 5, the one against torture and degradation, and should not even be in the same document. How this ever happened is a mystery to me. The Declaration of Human Rights only makes sense when seen in the the context of preventing another WWII and an other holocaust. I agree that it is flawed. Just consider Article 16, for men and women having the right to marry and found a family. Garrett Hardin argues that in a world with finite resources but an exponentially increasing population having the “freedom to breed” (his words not mine) is a recipe for ecological collapse. I should clarify that I don’t necessarily think any UN declaration needs changing. I’ve participated in the construction of a UN declaration before. It does involve the participation of people from all the UN member states, and often a plethora of civil society groups. This generally makes a document that’s left open enough that the interpretation can vary considerably from person to person. So of limited use. This article is no exception. I think that a ban on burqas wouldn’t necessarilty contravene the article. Personally, I don’t think anything as draconian as a full ban on burqas (or motorcycle helmets) is necessary. Just that it should be deemed inappropriate clothing for public settings and deemed illegal in high-security settings such as banks, airports, etc. Free ceremonial/religious and general private use of the burqa and motorcyle helmet would remain. I admit that might be hard to legislate, but it would be nice for the interpretation of any future legislation to be interpreted to that effect. I agree…but what does Tom think? Aah Tom. You’re becoming a crusty old conservative. Who’d a thunk? How often do you find yourself having to converse with people wearing burkas? I never have, so I don’t have any first-hand experience on whether or not it makes personal communication more difficult. In any case, one of your freedoms is to choose the people that you communicate with, and you’re just as free to make that choice based on hat style as anything else. Personally, I’m a fan of silly hats: there should be more of them. Hats and scarves were popular “western” women’s clothing in the in our own lifetimes, and full veils are still popular at “western” weddings. Sunglasses and hats allow just about anyone to be essentially anonymous, and in cities anonymity in random interactions is a statistical certainty. We’re all used to it, and it doesn’t cause significant problems. Ah well, one problem here in the UK is having to talk to people wearing Burkas – e.g. if you are a teacher, shop assistant or bank manager. You don’t get a choice. It is very disconcerting. People wearing sunglasses take them off indoors (well ok, Bono doesn’t, but he is wearing stupid orange ones, so you can always spot him). 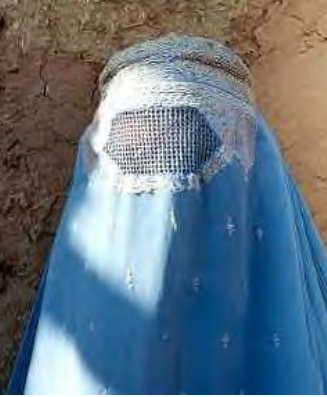 I have never seen a face-covering veil at a wedding (yes, I know the gauzy stuff does go in front of the face for a little while in a _very_ traditional wedding, but not for long and it is nothing like a Burka). For me and many others, a Burka is an absolutely abnormal impediment to normal social interaction. Maybe Sydney is changing, but I can’t think of when I ever had any face-to-… social interaction with someone who remained totally anonymous. You posit that you would feel disconcerted, or empathise with the supposed disconcert of bank managers and teachers, and the only answer is to advocate the violent oppression of a tiny minority of the community? Plenty of people in Sydney wear scarves, some wear burkas. Mostly I think it adds to the cosmopolitan, multicultural flavour of the place. I don’t typically interrogate the strangers that I interact with on busses or cafes or on the street for their ID, so they remain anonymous, even when I can see their face. I don’t (usually) freak out when talking to someone on the phone, even when they are bank managers: there are plenty of ways to establish identity when necessary. I just think that the arguments are too simplistic, too jack-booted. Gives me the creeps much more than does the occasional sight of a particular style of hat. The objections to the burka are more complex that just the issue of face to face communication. In France just the sight of a head scarf riles French women. 1) The head scarf anihilates the rights of women to be and to express themselves. 2) The head scarf creates a sentiment of us and them. 3) The head scarf feels like an agression to women who don’t wear it, as a judgement passed on our moral values. 4) Whenever you see a woman wearing a head scraf you wonder if it is by choice or imposed. 5) It is a threat to all that has been achieved by years of fights to liberate women. 6) The first time I came in contact with a woman wearing a burka I felt all at once a terrible sinking feeling, I was pained for the woman in front of me and felt threatened in my rights and femininity. These feelings are common in France and existed well before 9/11. I’m surprised women are most offended – this is possibly because Muslim women may traditionally think that because they are veiled they are holier than thou…here it is the old ancient open woumd of East – west relations and the legacy of colonisation. I did (until my reply to Andrew just now) purposely avoid the whole issue of he religious ‘semantics’ of the Burka, but I have to say, I agree with the summary above. Point 3 is particularly interesting. In the end it is very hard to describe any social structure or culture in which a Burka could exist without describing some kind of removal of freedom of choice, i.e. a kind of oppression. Why? Because noone would ever invent such a thing as a Burka (or Niqab for that matter) for any other reason – it doesn’t perform any sensible function, not even one of fashion (the French idea of a scarf) or cultural propriety (of the kind which means that women in Eastern Europe habitually wear scarves). For me it is impossible not to see the semantics of control in the Burka. “If you’re not a liberal when you’re 20, you have no heart. If you’re not a conservative when you’re 40, you have no head. I completely agree with both Tom’s and Ray (and particularly Valerie)’s characterisations of the religious significance of these garments (except, perhaps, point 1: most of the scarf-wearers around here seem to wear it with as much sartorial flair as anyone else’s garment, and I have difficulty describing the scarves worn by some Indian women as anything other than flair). When the first complaints about head scarves started in the media here, the wearing of scarves increased dramatically, even on young women of seemingly Anglo appearance: I’m certain that this was by way of solidarity and a “holier than thou” comment. This is, naturally, offensive. Some of the commentary reported from the men at the local mosques was also inflammatory and offensive. Clearly there are strong differences of opinion being expressed. I *like* living in countries where people are free to express strong opinions, even when I disagree with them. I’m sometimes uncomfortable with women who wear Hilton-inspired prostitute-chic too: it’s not obvious that the scarf wearers have no valid points. Burkas and Niqab seem more likely to be control devices, but I have no direct contact or experience with the people involved, so I don’t trust my distaste. It seems to me that a formal ban would be more likely to force these controlled wearers to remain indoors in their houses, rather than liberate them. That would be sad, I think. It seems, based on the previous waves of immigrants and refugees that have settled in Australia, that it takes twenty years or so for the cultural differences to start to dissolve to the point where there is broad acceptance and tolerance on both sides. If our free and tolerant society is as worthwhile as we all think that it is, then it ought to be able to withstand exposure to some different opinions without legally battening down the hatches, even when those opinions are expressed sartorially. There is most likely an issue of burka-wearing women being forced to stay at home (where they don’t of course wear burka or niqab – these garments are a portable kind of hijab to wear outsde). But it is not the only issue. If they go outside in a western country, they are breaking cultural norms of the host country, which doesn’t recognise either Islamic or arab social codes. So there is an imposition of somebody’s value system on somebody else’s either way. There has to be a way to resolve it. There are two points in favour of banning burkas in my view. Firstly, weight has to be given to the host country’s culture – there are (sticking to Europe for now) 300m people who have a certain way of being, to which the burka, minarets etc (and all they imply) is foreign, if not inimical. We recognise that if we travel to an arab country we must respect their codes of conduct (e.g. no alcohol etc) – should it not work in the reverse direction as well (and would anyone seriously try to build a cathedral in an Islamic city)? Secondly, the burka comes from a religious thought system. Without wanting to hurt anyone’s feelings, if we elevate such a system to the same level as evidence-based thought systems, or history/culture-based thought systems, then we are essentially forcing everyone into that religion at some level whether they want it or not. But religious systems are dogma- or canon-based, and involve only a tiny number of people exercising intellectual authority. To me this seems quite wrong. So, something has to give within these conflicting ‘needs’. They can’t all co-exist. We have to decide sensibly how it should work, taking into account an idea of reciprocity. It seems that the women in Islam are the ones that must represent and bear the brunt of the Western reaction to extremism in Islam. Muslim men can move freely without being frowned upon and reviled and yet it is the men that impose the Burka on women. The legislator considers that the practice of hiding one’s face in a public space, that was beforehand almost non-existant, can constitute a danger for public safety and lead to misunderstandings about what are the minimal requirements for living in a society. These points are hard to argue with in a secular society (i.e. one in which religion and faith largely do not extend beyond the private sphere, and specific places of worship). The semantics of all veils in Islam is essentially the notion of ‘hijab’, i.e. the screen that exists within the historically traditional Islamic home which separates the women’s space from that of the men. I would see the Burka and Niqab as very literal interpretations of this Islamic ‘hijab’ (modesty) concept, whereas normal non-face covering scarfs in Islamic style are symbolic interpretations. I think that literal interpretations of anything religious or scriptural always leads to trouble, and the French government is really just pointing to real problems in this case. Sadly, I expect it will heat up the whole issue rather than actually move French or European society forward.